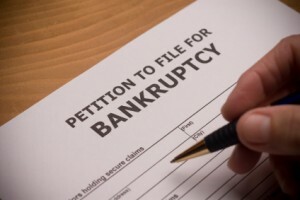 Filing a bankruptcy shouldnâ€™t be the dreaded remedy that many people think it is. There are many benefits to filing; some obvious and some un-expected. 1. Your bills go away, or at least you get a handle on them through a Chapter 13 plan. Bankruptcy simply eliminates (discharges) most, if not all, of your credit card debt, old medical bills and other unsecured debt. 2. Creditors stop bothering you. Even if you are going to pay part or all of a debt, no one can try to collect it or even talk to you about it once a bankruptcy is filed. Finally, you will get your telephone back! 3. You get a fresh start: a new chance without overwhelming bills. Youâ€™ll be able to pay the things that are important without robbing peter each month to pay paul. 2. Your credit score will return. The biggest effect on your credit score is late payments.. A bankruptcy wonâ€™t help your score immediately, but since the bills that werenâ€™t getting paid will be gone, you can rebuild your credit much more quickly. All in all, bankruptcy can be a refreshing change to a debt-laden life. If youâ€™re having trouble meeting your obligations, talk to a competent bankruptcy attorney in your area. It might really help.